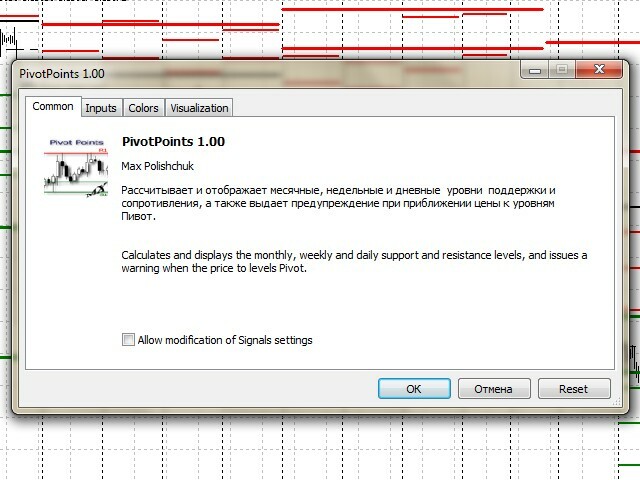 PivotPoints indicator calculates and displays monthly, weekly and daily support and resistance levels. It also warns when the price approaches the Pivot levels. 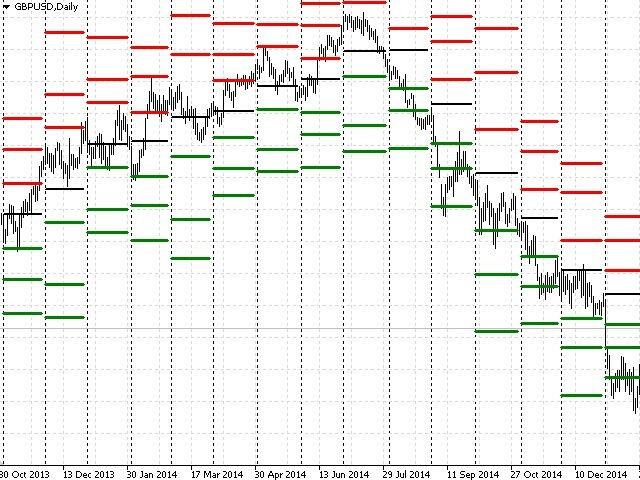 Pivot points are potential reversal levels used by banks and financial institutions. They are the basis of most kinds of the technical analysis. РР - central Pivot level. The maximum number of bars - maximum number of bars in history the indicator levels are displayed for. 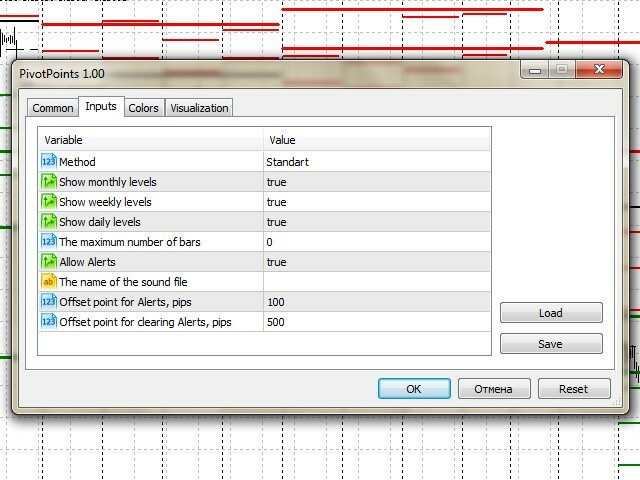 The parameter is used to save computational resources. 0 - display for the entire history. Allow Alerts - allow audio notification. in terminal_directory\Sounds or its subdirectory. in terminal_data_directory\MQL5\Files or its subdirectory. 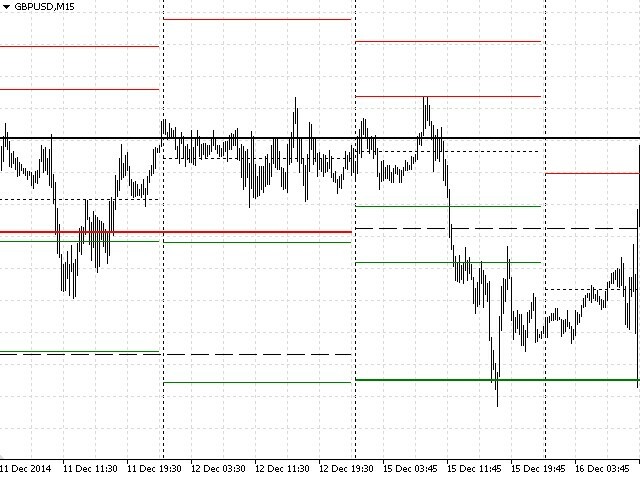 Offset point for Alerts, pips - activate the notification at a specified amount of points before the level is reached. Offset point for clearing Alerts, pips - "reset" the notification after a specified amount of points.